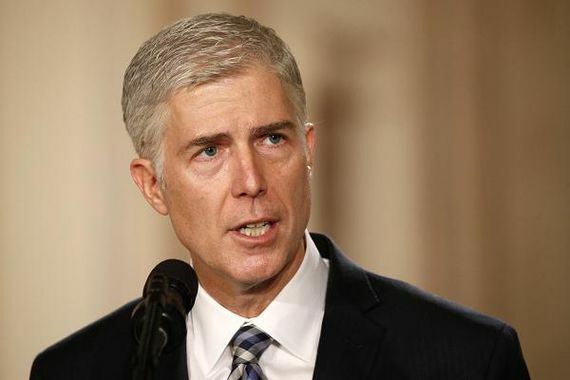 Justice Neil Gorsuch is completely out of touch with American society. 72 percent of respondents said business owners, because of their religious beliefs, should not be allowed to refuse to serve customers based on sexual orientation, while 14 percent said they do have that right. Another 9 percent said businesses have the right “only in certain circumstances” and 6 percent said they do not know. In other words, Justices Gorsuch and Thomas (in particular) are out of step with society. They are part of that dismal 14%. It will only get worse because they are so insulated from reality. By now you all know the solution to having more Gorsuches. I'll skip the nagging Jewish mother diatribe but you all know what to do and when to do it. And, no, I am not suggesting that anyone should run over Clarence Thomas with a truck.